MADAM – Regarding Bid Barometer, ATG No 2377, your readers might be interested to know that the portrait painting featured is in fact a self-portrait of Helen Lessore (of Beaux Arts Gallery fame). This painting sold at Surrey auction house Ewbank’s on January 17 catalogued as ‘English school, portrait of a lady with ... signed indistinctly H. B***k’. ' has been identified as a self-portrait by Helen Lessore. 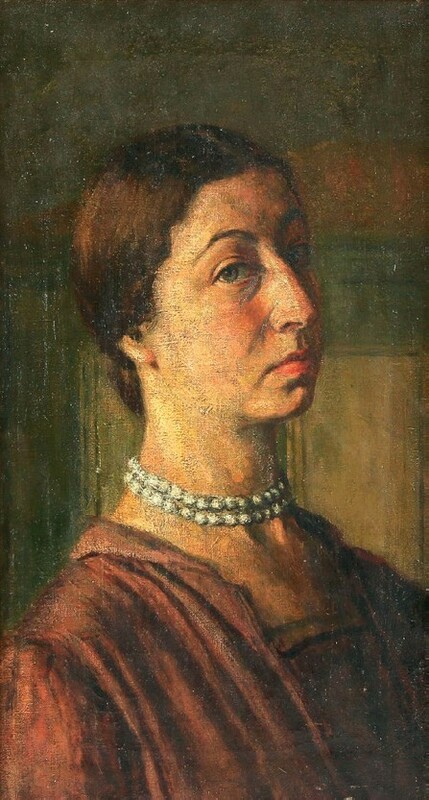 Although undated it was presumably executed prior to her marriage in 1934, as she signed it using her maiden name of Brook. ATG note: the painting sold at Surrey auction house Ewbank’s on January 17 (above) was catalogued as ‘English school, portrait of a lady with a pearl necklace, oil on canvas, signed indistinctly H. B***k’. It sold for £2800.